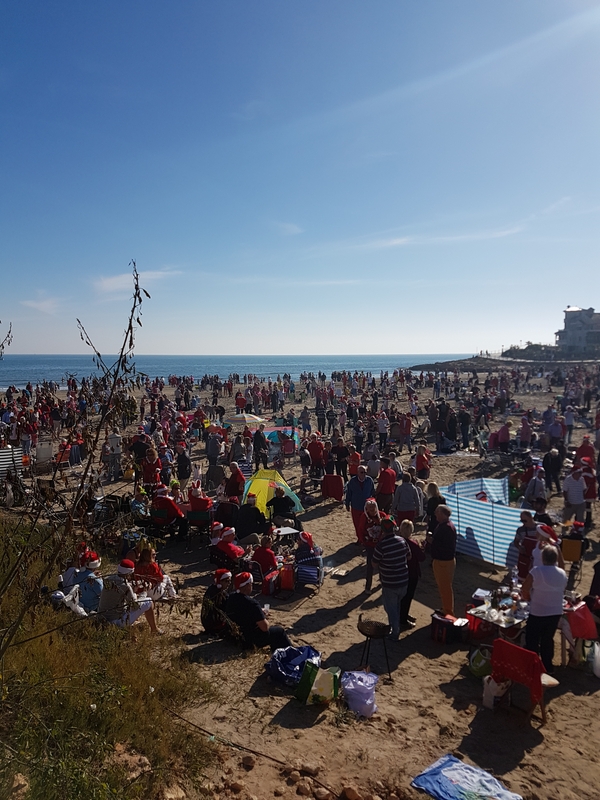 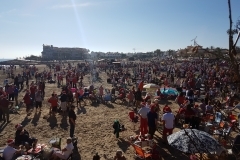 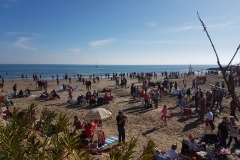 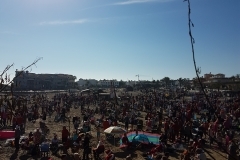 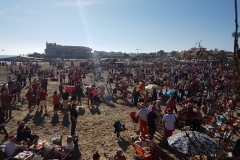 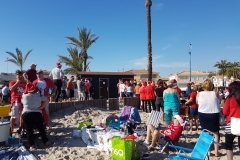 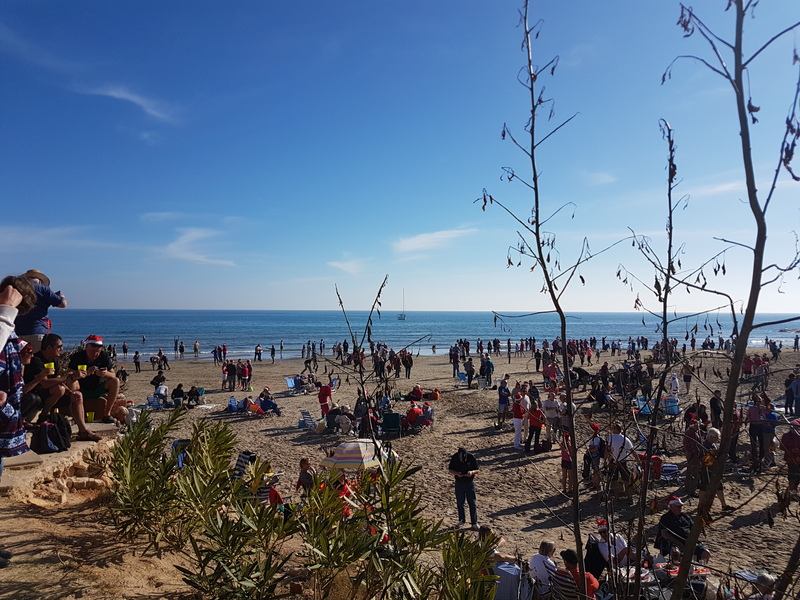 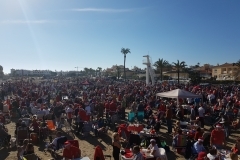 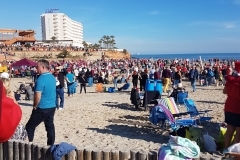 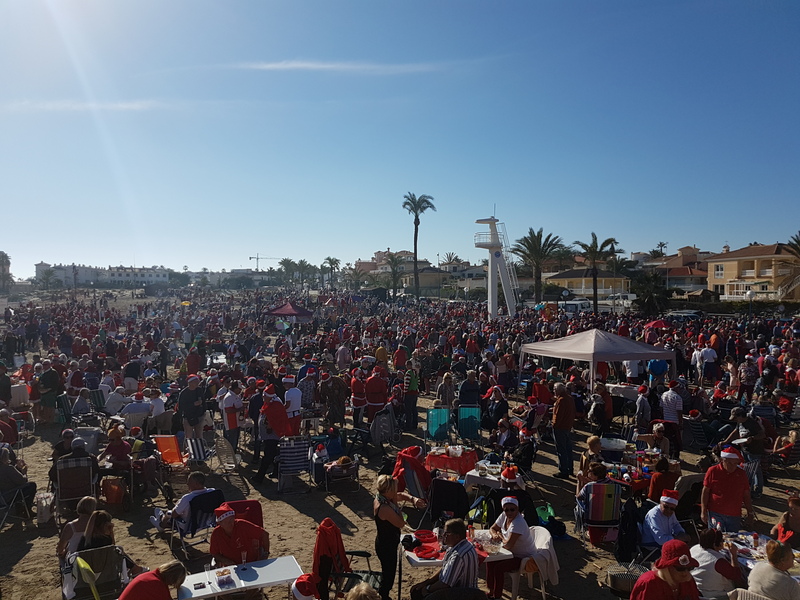 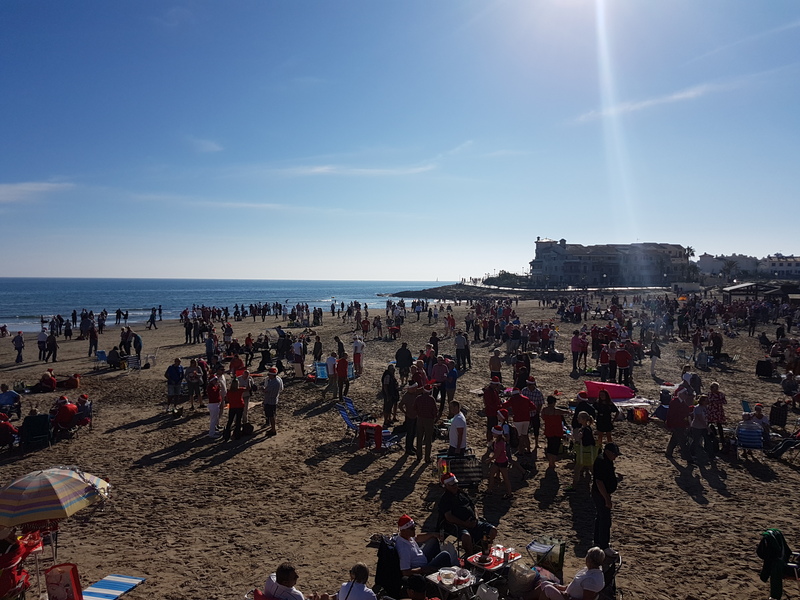 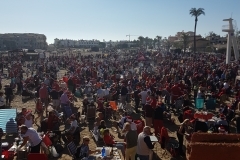 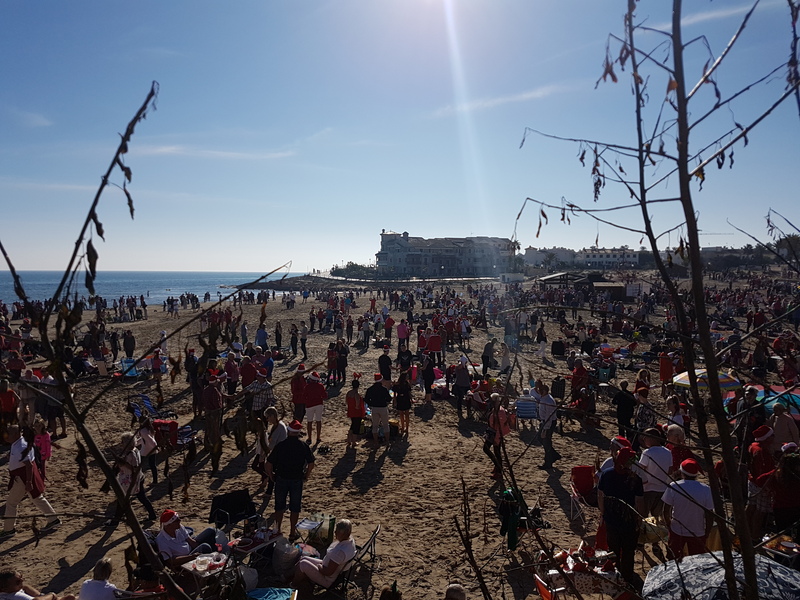 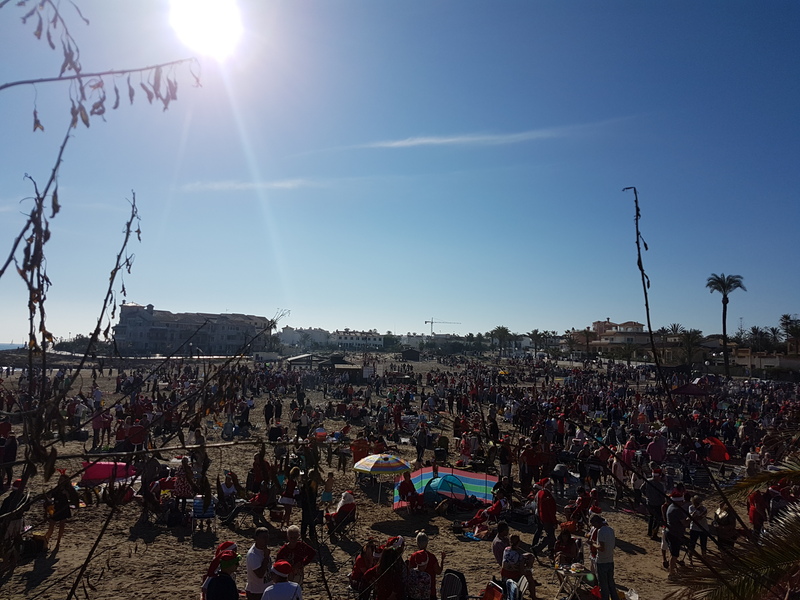 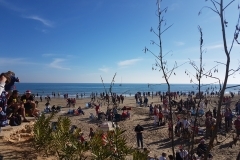 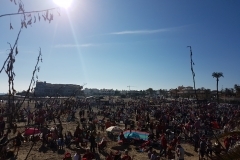 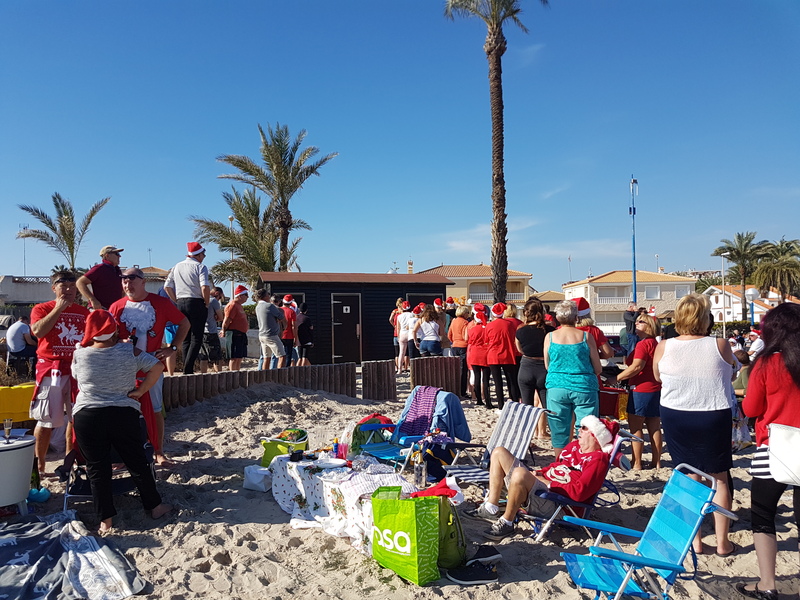 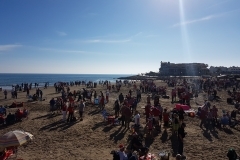 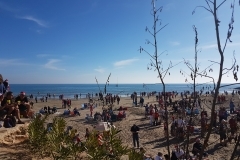 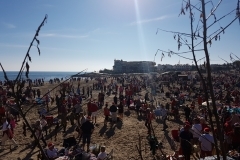 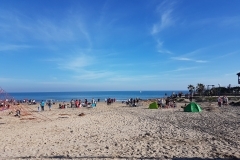 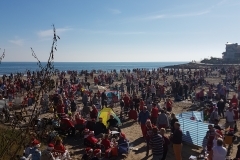 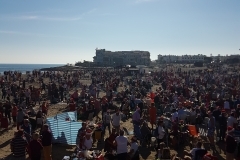 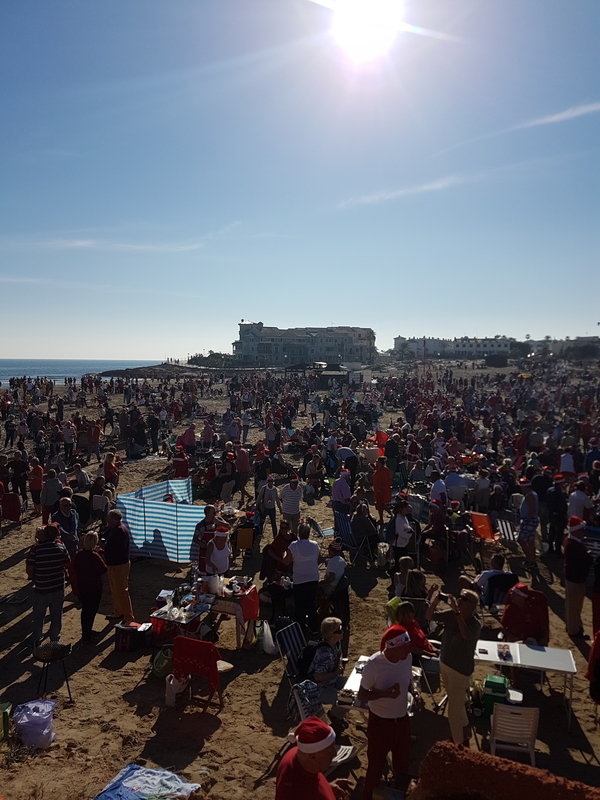 Over 2000 people turned up to celebrate Christmas morning on La Zenia Beach, many staying for the entire day under blue skies and temperatures in the low 20’s C.
The serious revelers were arriving from as early as dawn as they claimed the prime pitches prior to enjoying Christmas day on the Orihuela Costa’s premier blue flag beach. 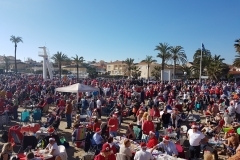 So many people from all over the world joined to celebrate the day, many having brought along with them chairs, tables, food and barbecues, and all with wine or some form of alcoholic beverage as they relaxed in bright sunshine while the bands from Orihuela Musical Union and Just Brass played on. 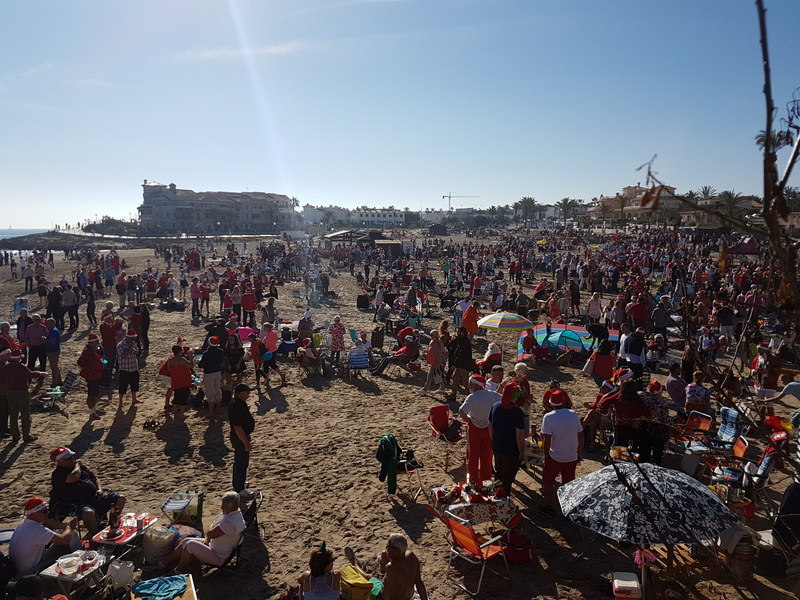 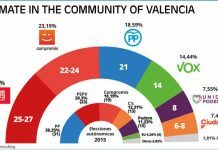 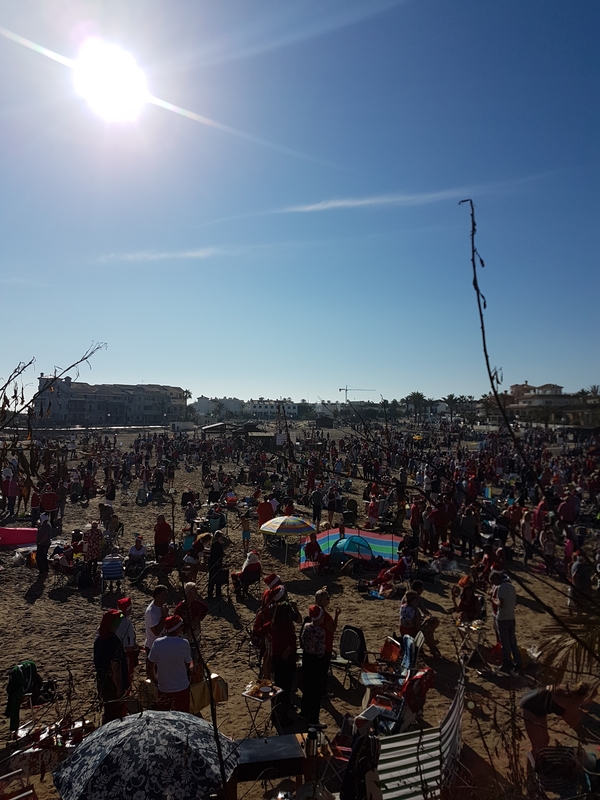 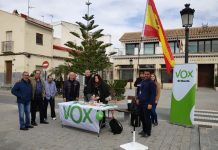 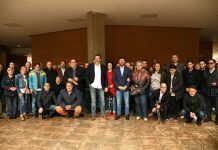 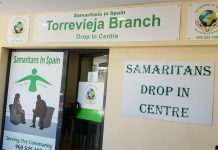 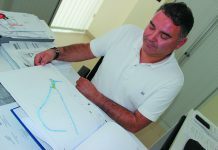 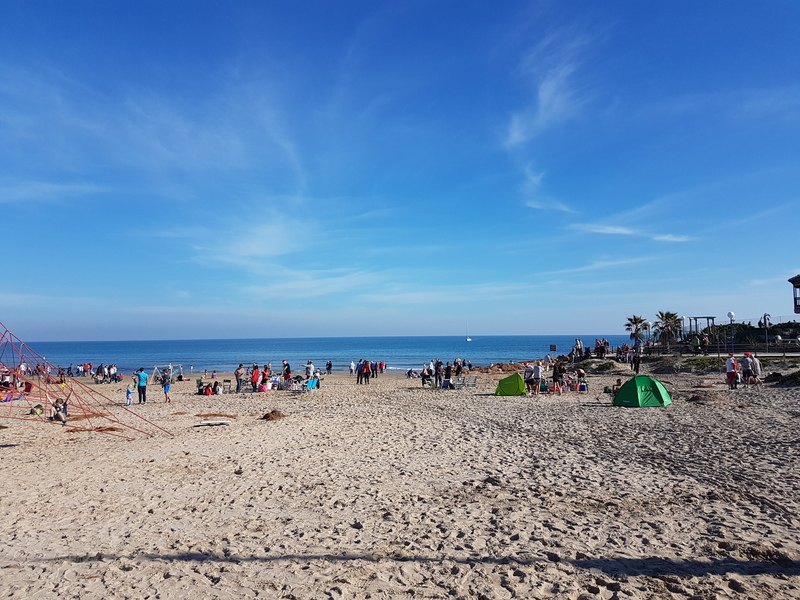 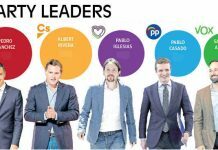 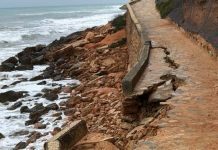 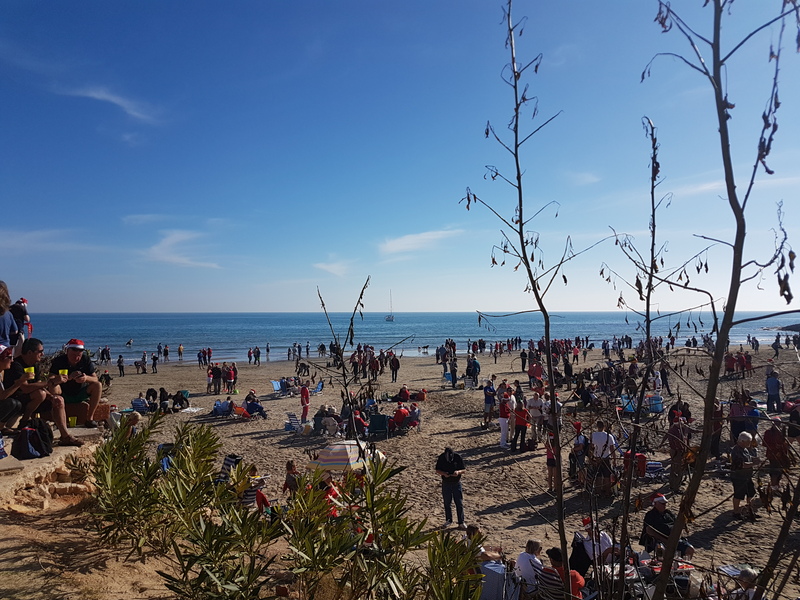 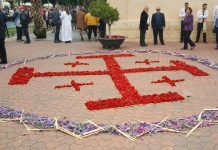 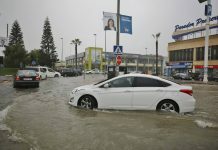 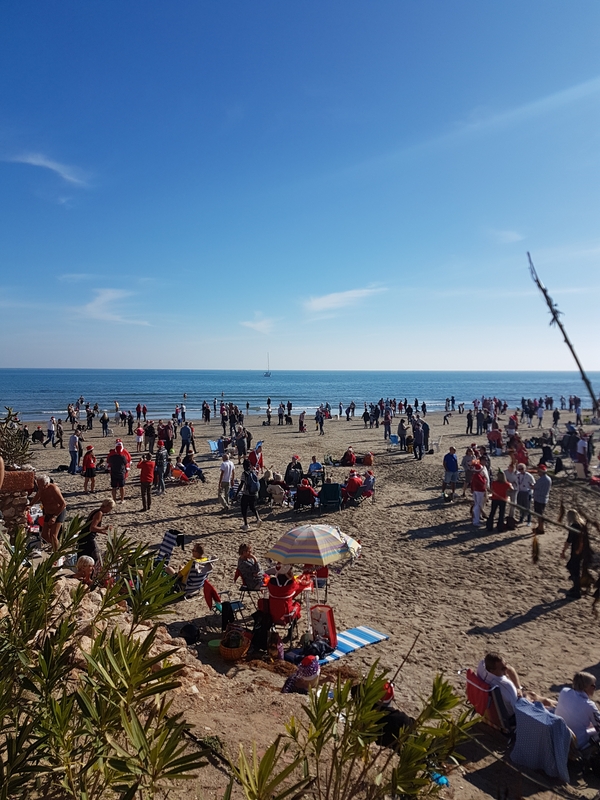 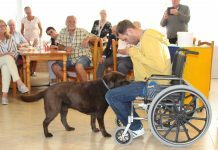 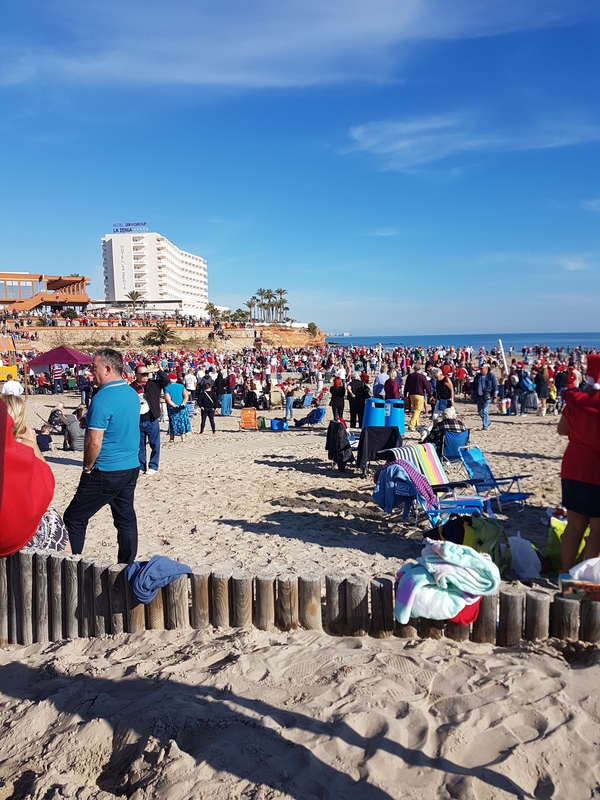 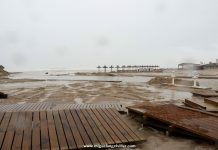 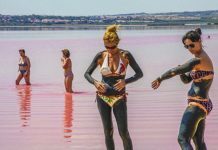 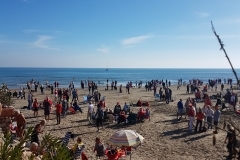 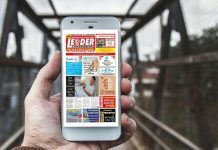 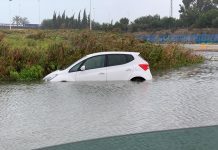 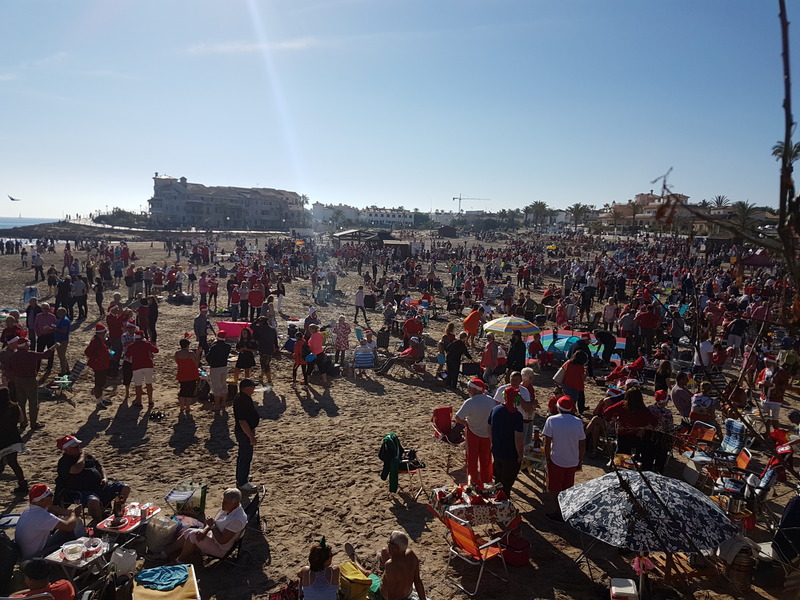 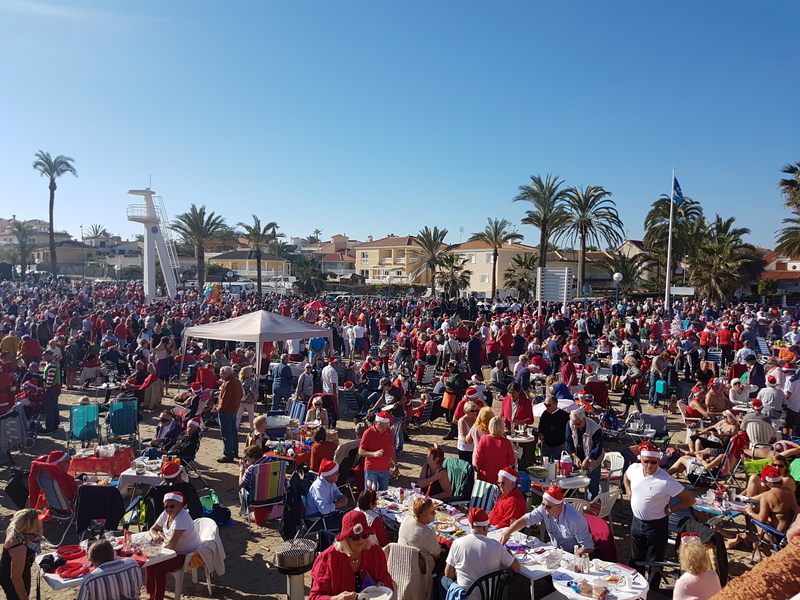 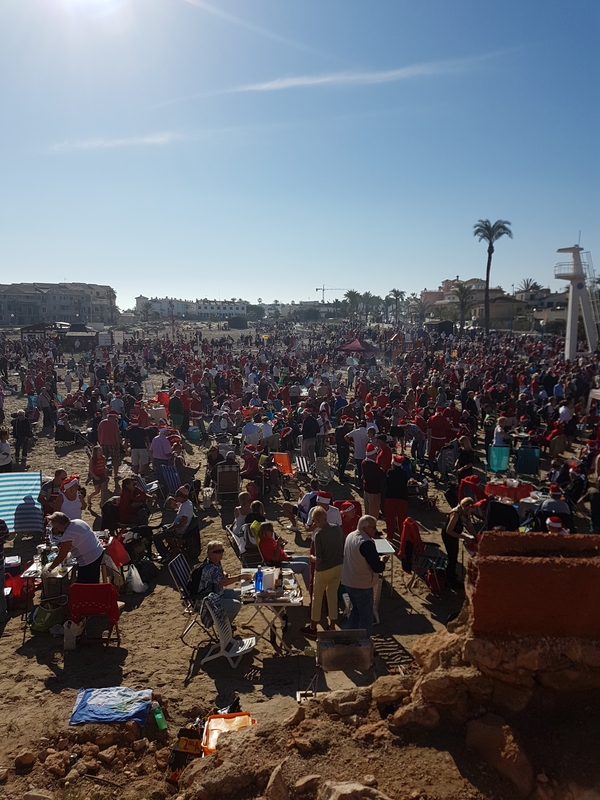 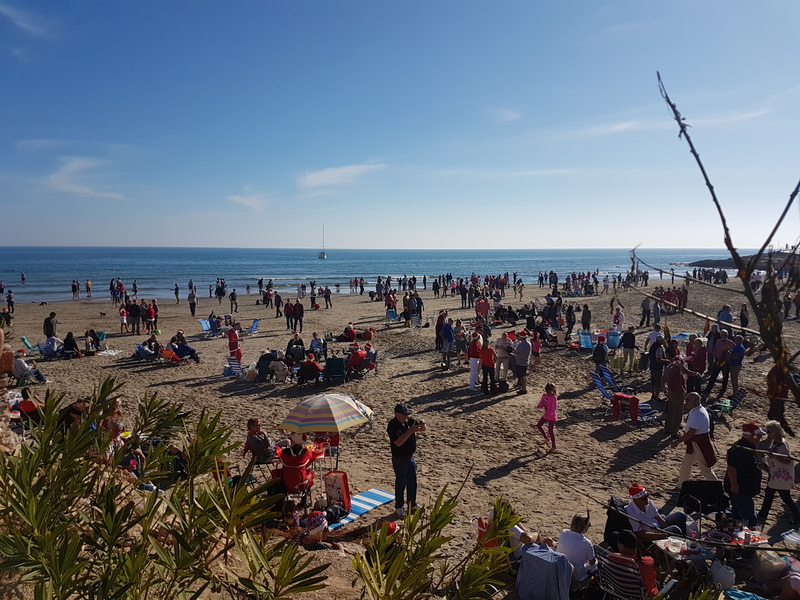 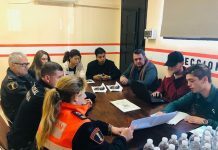 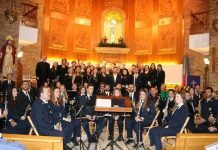 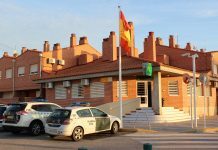 The La Zenia event, which seems to get bigger every year allows people from all four corners of the world to celebrate this special day together and this year the event was even bigger and better than ever.